We thank all our participants for a hugely successful Season 1 of the Indian Trading League. Over the course of the year, we have received a lot of feedback from you’ll on the format, rules and prizes of the league. In Season 2, we’ve tried to incorporate a lot of your feedback and will continue to do so going forward as well. Season 2 of the Indian Trading League begins on 1st May, 2016. How is Season 2 different from Season 1? New Rule additions to Season 2 – These rules have been introduced to bring in higher integrity to the league. Max drawdown from funds deposited – 90%. So incase, the loss on capital exceeds 90%, the participant will be automatically disqualified from the league. In case of multiple family members attain wining positions in any of the Leagues, only the Family member on top most position will be eligible for the Reward. 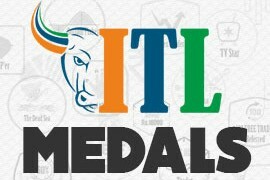 Every participant of the Indian Trading League now has the opportunity to participate and win Brokerage refunds and free subscriptions with the Indian Trading League Medals program. We wish all our participants good luck and hoping everyone has a hugely profitable year going forward. Thanks for the kind words Arjun! Thanks for 2000 prizes, but, 5 Lakh for Traders League or MCX League is small. Prev 10Lakh-5-3 was good. Increase it if possible. Thanks Akhokhe for your feedback. We have currently brought the Commodities and Traders league to complete parity unlike last year where there was a difference! Will take your feedback into consideration going forward. I am trading through HDFC Securities presently and holding Rs.15Lac shares of different companies. 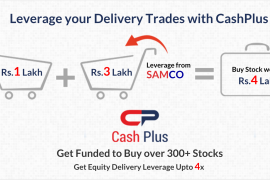 How to transfer them from HDFC Security to SAMCO? Season 2 of the Indian Trading League begins on 1st May, 2017? Thanks for pointing out. The Same has been rectified. I a a member of SAMCO. In today’s trading, I have collected 6 bronze medals, which I received in my mail from SAMCO. Are these honorary or is there some importance of the latter. Is there any further procedure required to participate in ITL 2 for intraday traders? How will the record of the medals be maintained in future trading sessions? By way of the medals program, we will not only help you become a better trader but also reward you with Brokerage refunds and free subscriptions. You can refer to the entire record of your medals received in the SAMCO STAR Back Office – star.samco.in – Medals Menu -> Medals Details. And there’s no additional procedure required to participate in ITL 2. Gmail I had submitted all documents but my account information yet to receive.Please let me know what is the problem. After all clearance I will arrange fund online transfer. Can you help us with your Registered Mobile Number/Email ID? Jimmet sir,my SAMCO id is DR1850 . there was an correction in my net asset value.. Which I have already complaint at you support dest.. But now two weeks went no result is given from samco side ..pls look into matter . This leading to dissatisfaction of your services . Can you share your Ticket ID?